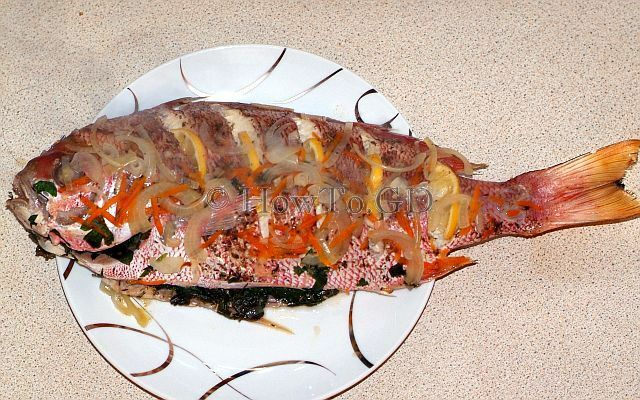 Red Snapper is a very tasty fish, which belongs to perciform fishes with very toothsome boneless meat. 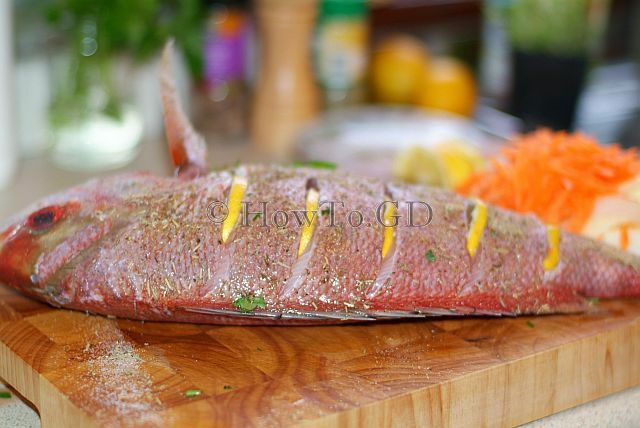 This fish can be cooked by many different ways, and in this article I will tell how to roast Red Snapper. The main idea if this recipe is almost braise this fish, with combining of steaming and roasting. 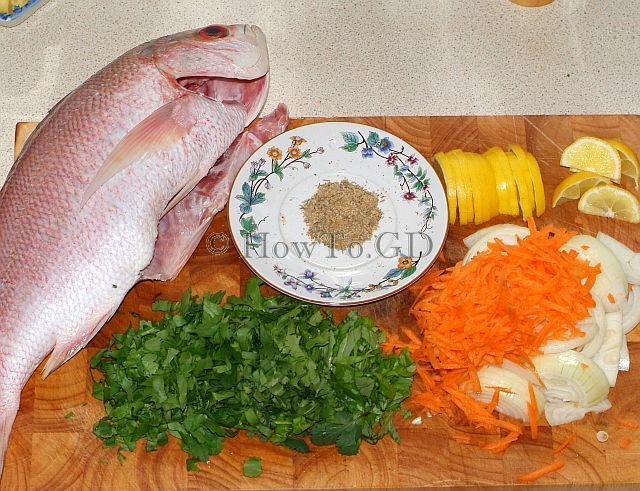 This will allow to properly cook snappers meat without drying it. 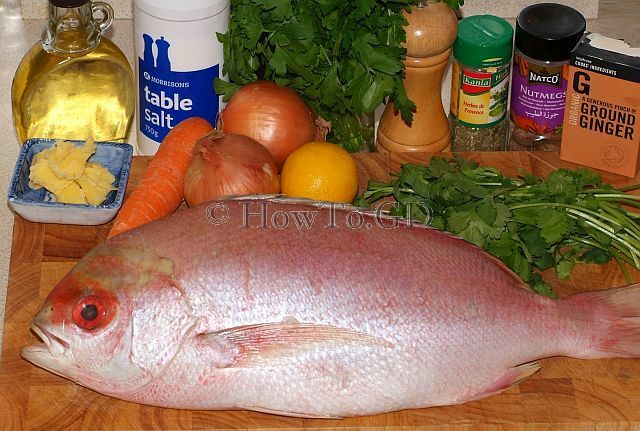 Red Snapper is a large fish, and one average fish can be perfect for 2-3 portions. Red Snapper, one average fish, about 1.5 kg. Oil or butter 1 tbsp. Clean this fish. Descale it first, then remove stomach content and gills. Wash it well. Prepare all other ingredients. Ground and mix all spices. Slice lemon. Slice onion. Grate carrot. Chop herbs. Sprinkle fish stomach with spice mix and salt, stuff it with lemon slices and herbs. Rub in salt and spices into fish skin. 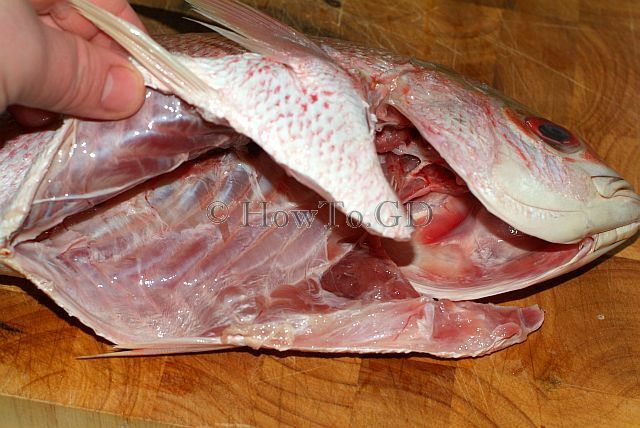 Make cuts trough the fish flesh, almost to the spine and insert slices of lemon into the cuts. Use baking tray with large foil. Place butter or oil on the bottom of the foil. Distribute half of onion and carrots on the bottom of the foil. 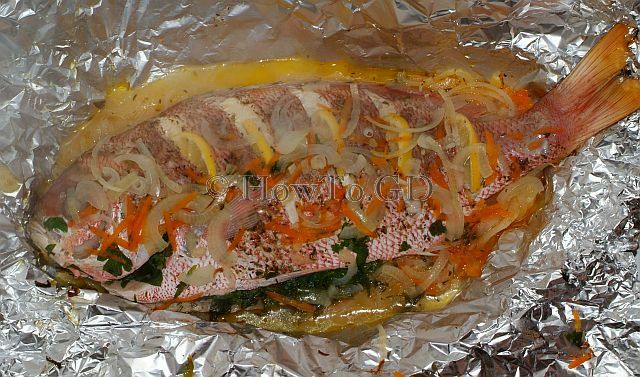 Place fish on the carrot and onion layer. Cover fish with the rest of the onion and carrot. Tightly seal the foil, to avoid steam to escape from the foil envelope. 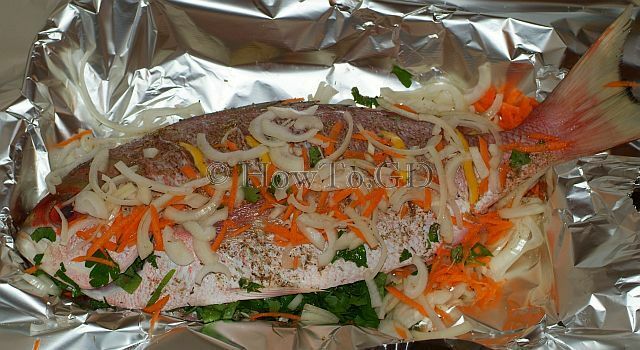 Roast in the oven for about 40 minutes at 200 ° C. After this time, open the foil envelope and check the softness of the fish with bamboo stick. 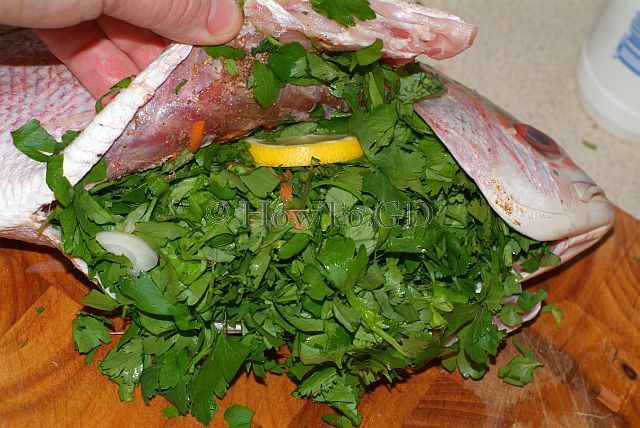 If the fish is soft all way through – it is ready, but if it is not ready – cook for few more minutes. Serve and add sauce from cooking separately, or drizzle it over the prepared fish. It is not very important to chop herbs, it is possible to use them as it is. Lemon skin can be bitter, so if you do not like this taste note, then peel lemon, or change it to lime or lemon grass.